UP Police Constable Exam Question Paper 2009 Solved: Uttar Pradesh(UP) Police contable examination 2009 have 160 questions with 200 Mark while candidates will have 2 hours to attempt the paper. The four Section are: It was having four section General Knowledge, Mentabl ability and aptitudes with 200 Marks. Here is Complete UP Police Constable Exam Paper 2009 solved with answer attached in last page of question paper. Q. 2 : Aryabhatta was? Q : 3 which of the following state produce maximum Rubber ? Q 4 which of the following is the 2nd language of the uttar pradesh? Q 5 The currency name of the britain ? 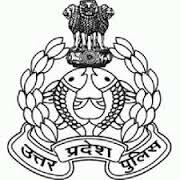 Find the all details for UP Police Admit Card regarding admit card releasing date, exam date and estimate result date.